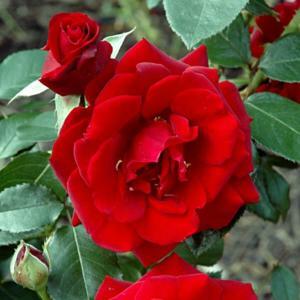 Cluster flowered shrub rose with dark red flowers. Repeat flowers from summer to autumn. Glossy dark green foliage.